Beginning July 1, 2018, the management, staffing, meals, and operation of the Auburn Homeless Shelter is being provided by The Gathering Inn. Volunteers of America will continue to focus on affordable housing for seniors and other vulnerable populations in Placer County, including veterans, and at-risk youth through our long-standing programs. Right Hand Auburn will be focusing their efforts to develop transitional housing in the Auburn area, supporting the medical and counseling services at the Auburn Renewal Center, and the work of the Society of St. Vincent de Paul. We THANK YOU for your support over the last three years in our efforts to establish Auburn's first homeless shelter and we hope you will join us as we continue to serve our community in new ways. Beginning in Winter 2014, the non-profit organization Right Hand Auburn, (RHA) devoted its energy to passionately advocating for an emergency homeless shelter to serve those in need in the Auburn area. The Auburn Shelter opened June 1, 2015 on a temporary 90 day basis granted by the County of Placer and in November 2015 became a 24/7 center in a former Placer County barrack no longer being used by the county. 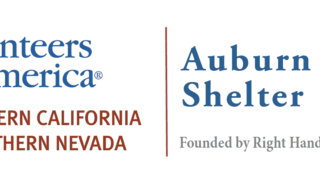 In March 2016 the Auburn Shelter operation contract was awarded by Placer County to Volunteers of America Northern California and Northern Nevada. VOA-NCNN operates all shelter programs, staff, case management, policies, oversees volunteers other than those for meal service and also all Placer Country contractual requirements. The Right Hand Auburn organization continues to provide all meals for the Auburn Shelter and is the driving force in community relations - encouraging ongoing homeless studies & planning with the City of Auburn and County of Placer. Immediate crisis assessment and stabilization with consistent one-location 24/7 sheltering. Three meals daily. Meals are coordinated by partner Right Hand Auburn, and provided in the dining room by many community volunteers, groups and local restaurants. On-site classes for life skills, personal finances, individual well-being, and education. Employment resources, job readiness training, skills assessment and a dress-for-success clothing closet. Housing coordination for the next level of care, transitional housing, and/or permanent housing. Connection, for those with military service, to the VOAncnn Veterans Service Team and Placer County Veterans Office. Referrals for medical and dental care and follow-up; on-site visits from medical professionals; and transportation to appointments. Mental health intervention, assessment and services in partnership with Placer County. Access to addiction recovery services and on-site support group meetings. Coordination with Sutter Health's Interim Care Program for clients recently hospitalized. Pet kennels and access to veterinary care provide by local professionals. ABOUT Volunteers of America Northern California and Northern Nevada: Volunteers of America Northern California & Northern Nevada, a faith based non-profit is one of the largest providers of social services in the state since is founding in Sacramento in 1911. 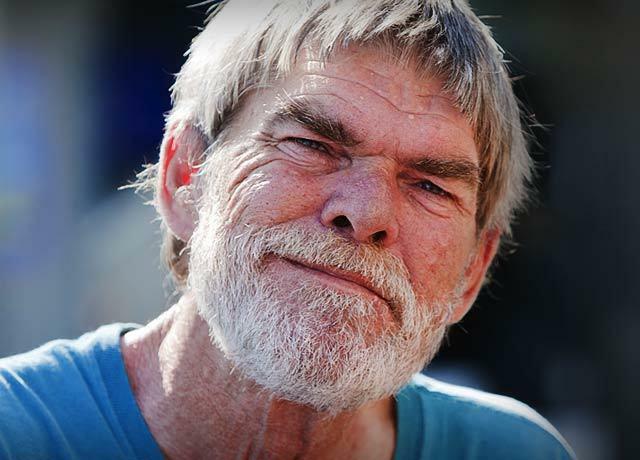 Operating more than 50 programs including housing, employment services, substance abuse and recovery services to families, individuals, veterans, seniors and youth; Volunteers of America NCNN provides shelter or housing to nearly 1,900 men, women and children every night in the Greater Sacramento area alone. Additionally we serve the Oakland/SF Bay area and the Reno/Sparks Nevada region. Nationally, the Volunteers of America affiliates together helps more than 2.5 million people annually in more than 400 communities across all of the United States.